The California Supreme Court has recognized that an employer's termination of an employee for reporting an alleged violation of a statue of public importance represents one category of wrongful discharge in violation of public policy, Gantt v. Sentry, 1 Cal.4th 1083, 1090-1091 (1992) citing approvingly in Turner v.
Anheuser-Busch, 7 Cal.4th 1238, 1256, 32 Cal.Rptr.2d 223, 235 (1994). Moreover, wrongful termination can be based upon an employee checking on and trying to report possible illegal conduct to company officials, Collier v. Sup. Crt. 228 Cal.App.3d 1117, 1121, 279 Cal.Rptr. 453 (1991). "Retaliation by an employer when an employee seeks to further...public policy by responsibly reporting suspicions of illegal conduct to the employer seriously impairs the public interest" and is enough for wrongful termination, at 1127, 458. [A]n employee need not provide an actual violation of the law; it suffices if the employer fired him for reporting his 'reasonably based suspicions' of illegal activity, Green v. Ralee Eng. Co. 19 Cal.4th 66, 87, 78 Cal.Rptr.2d 16 , 29 (1998) referencing Collier, 1125. In Holmes v. General Dynamics, 17 Cal.App.4th 1418, 1423, 22 Cal.Rptr.2d 172, 174 (1993) the appellate court upheld a jury verdict for wrongful termination in which the evidence was that the plaintiff was fired for telling management their conduct violated a statute regulating public policy. The Holmes court held it was proper to instruct the jury that "employers shall not terminate employees in retaliation for disclosing to the employer's management a practice of the employer that violates the False Statements Act," at 1433, 181. The Holmes court held the instruction was proper and provided clarification what the word disclose means. The Holmes court held that disclosing means to "expose to view, as by removing a cover; uncover...The make known; divulge," Id. An employer who fires an employee for 'exposing to view or 'making known' an employer's illegal conduct plainly violates a 'fundamental' or 'substantial' public policy regardless of the militancy or the decibel level of the report and even if the employee has chosen not to actively oppose the illegal conduct. A contrary rule would provide corporate managers incentive to terminate any employee after the employee has reported illegal activity but before the employees has had the opportunity to 'protest' such activity. Moreover, such rule would unfairly penalize an employee, such as Holmes, who deems it appropriate to address the situation by working through company channels rather than engaging in some form of adversarial conduct, Id. An action for tortious discharge is not strictly limited to those situations where an employer retaliated against an employee for refusing to violate a statute, performing a statutory obligation, exercising a statutory right, or reporting an alleged violation of a statute of public importance, Gould v. Maryland, 31 Cal.App.4th 1147, 37 Cal.Rptr.2d 723 (2nd Dist. 1995). An action for tortious discharge exists wherever the basis of the discharge contravenes a fundamental public policy, Id. Additionally, Soules v. Cadam, 2 Cal.App.4th 390, 401-402 3 Cal.Rptr.2d 6, 12 (review denied 1992) held "The rule that an employee may pursue an action for tortious constructive discharge in violation of public policy is not limited to situations where, as a condition of employment, the employer coerces the employee to commit an act that violates public policy or restrains the employee from exercising a fundamental right. Such an action will lie wherever the basis of the discharge contravenes a fundamental public policy," Fundamental public policies, for the purpose of the tort of wrongful termination, include statutes, regulations, and constitutional provisions, Green at 71. Where the lawmaking power speaks on a subject over which it has constitutional power to legislate, public policy is what the statute enacts, Thome v. Macken, 58 Cal.App.2d 76 (1943). Defendant has not cited a single case stating that any statute Masey bases his public policy argument on fail to inure to the public benefit thereby creating a wrongful termination cause of action. 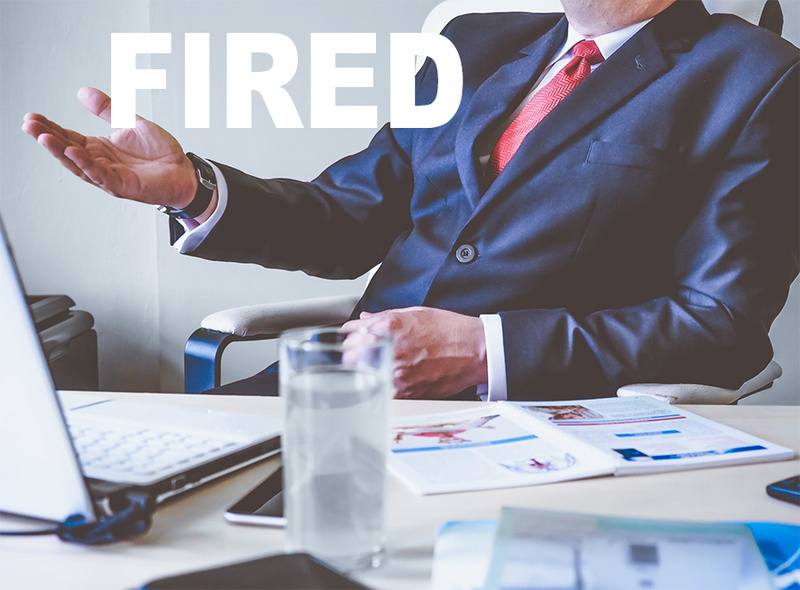 In order to go forward with a Tameny styled wrongful termination lawsuit, the employee does not have to affirmatively refuse to engage in statutorily prohibited conduct, or complain about statutorily prohibited conduct. The courts have ruled that terminations in order to violate certain statutes create liability under this tort. Gould v. Maryland, 31 Cal.App.4th 1137, 1148, 37 Cal.Rptr.2d 718, 724 (1995) held an employer's termination of an employee to avoid paying accrued commissions and vacation pay violated California Labor Code Section 201 and created a wrongful termination case. Contact us or call 1-877-525-0700 to speak to a Bakersfield employment lawyer. California Labor Code Sections 6400, 6402, failing to provide safety devices as required in 6401, 6403, 6404, 6406(d). California Labor Code Section 6308 requires employers to provide necessary information about the correct safety gear. California Labor Code Section 6306 requires employers to provide safety equipment to workers. California Labor Code Section 6310 prohibits discharge and discrimination because an employee has participated in a health and safety committee under Section 6401.7, or caused to be instituted any proceeding relating to an employee's rights about safety. The letter and spirit of California Labor Code Section 6300 indicates it was enacted for the purpose of ensuring a safe and healthful work environment and encouraging employers to provide training about such. The Labor Code also prohibits employers from exposing workers to hazardous substances, California Labor Code Section 6370. Workplaces where the employees are subjected to unsafe or unhealthful conditions are not legal. If an employee is discharged or retaliated against for complaining about these types of work environments, they may have a wrongful termination case. Call us today at 1-877-525-0700 to speak to a Bakersfield wrongful termination lawyer. If you live in Los Angeles click here Job Lawyer CA. Firing an employee to avoid paying a wage due, including a large commission or bonus that is due. Failing to properly dispute the level of treatment being prescribed to the employee. If you have been wrongfully terminated, or excused due to unhealthy work environments we can help you with your case. Contact an experienced Bakersfield employment attorney today. Serving All Of Kern County Including: Arvin, Bakersfield, Lebec, Mojave, Ridgecrest, Taft, And Wasco. Give us a call for a free consultation at 1-877-525-0700 to talk to a Bakersfield employee lawyer. Since 1993 firm owner Karl Gerber has handled more than 1,675 separate California employment cases with a 46/48 win rate of all binding arbitration and jury trials he has first chaired. To talk to a labor lawyer call us at 877-525-0700 (toll free).